Where Is the Best Place to Sell a Junk Car for Cash in Detroit? We have the best place to Sell a Junk Car in Detroit. Once most Americans hit adulthood, car ownership is more of a requirement than a lofty sense of entitlement. Over 253 million roadworthy vehicles account to that. Yet, in some cases, your car can almost become an extended member of the family. Senses of pride, commitment, and freedom are often locked into car ownership. And those feelings don’t just necessarily fade away as your shiny pride and joy transforms into a junk car. The average roadworthy car in America is 11.4 years old, but many car owners keep their vehicles for far longer than that. Of course, a car is not a permanent fixture and eventually, you’ll need to part ways and let it rest in peace. Smart consumers give their vehicles a proper burial while making a nice wad of cash in the process. Why Bother Selling Your Car for Cash? 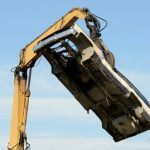 The average car weighs over 4,000 pounds, and even when stripped apart that’s a lot of material to end up in a landfill. Almost 98% of some vehicles can be easily scrapped, while only 86% of cars on the road actually end up being recycled or reused in any form. 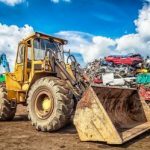 Scrap yards in Detroit add to the Green Movement by reducing space and reusing materials that would have otherwise taken decades or even centuries to begin to decompose naturally. And some materials used in vehicle manufacturing will never decompose. On top of helping reduce dangerous emissions, poisoning waterways, and harming wildlife due to extreme mining, scrap yards in Detroit pay cash for your junk car. So you’re not only helping the environment, you’re also helping yourself. Where Can You Get Cash for Your Clunker? Many of the cars or car parts manufactured in America are done so right in or around Detroit. Eventually, those cars need and deserve a responsible resting place. That’s where the 9,000+ scrap yards come in. Of course, not all are equal. Finding a scrap yard in Detroit isn’t a difficult task. But finding one that not only pays cash instantly for your junk car but also has an excellent local reputation can be about as easy as finding a flea on a falcon. Oh, they’re out there, but narrowing them down and trying to find one nearby can be a chore. Save time and headaches by trusting Junk My Car Detroit to pay you what your junk car is worth at the time of the transfer. 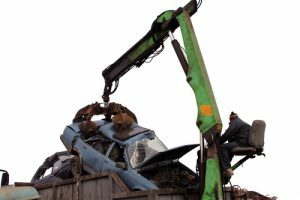 What Will the Right Professional Junk Car Removal Service Do to Make Your Life Easier? 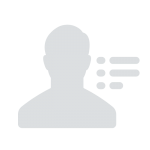 A professional scrap dealer knows the industry, current prices, and how to provide top-notch customer service. The main goal is to obtain the junk car and ensure the transition is a smooth, successful, and pleasant one for all involved. Therefore, a simple call can get the ball rolling. A professional estimate can be provided based on the condition quoted by the customer. Cars of any condition are accepted without question. The better the condition, however, the more the transition is worth. Your junk car doesn’t run? No problem. The right scrap yard in Detroit will offer free towing. And cash is paid on the spot. 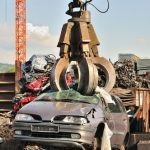 How much can you make simply trading your junk car? How does $150 to $500 sound? If you’re low on dough or just need to clear away the old clunker, call Junk My Car Detroit and let them prove how easy and fun selling your junk car for cash can be. Call us at (313) 789-2277 for the Best place to sell a junk car in Detroit. Or email us at info@junkmycardetroit.net. We are the best place to sell a junk car in Detroit.